Did someone say halal steamboat? 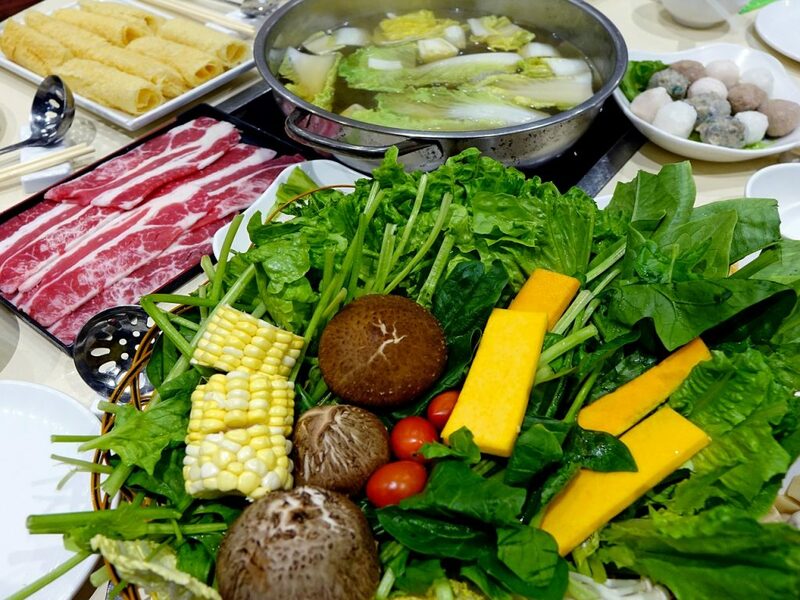 A local favourite, steamboat features a variety of ingredients, such as fresh and raw meat, vegetables, and seafood—cooked in a simmering soup base. Now before we talk lengthily about this Singaporean staple, let’s take a moment to discuss the prefixed word “halal” first. “Halal” is easily defined as “permissible.” It refers to everything that’s allowed for Muslims as stated in the Islamic Law—including food. Check out this document from the Food and Agriculture Organisation of the United Nations for a more detailed discussion on the matter. Now, back to our favourite steamboat. 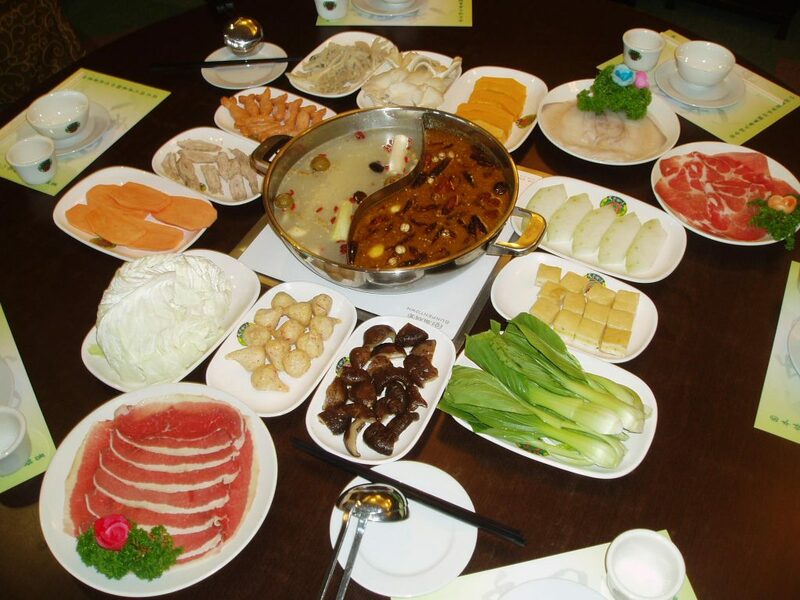 Also known as hot pot, this sumptuous feast originated in China and is best enjoyed during rainy or cold weather. As it involves cooking your own food and dining with a group (preferably family or best buddies), it’s a hit almost anywhere in Asia. Needless to say, it’s particularly popular in Singapore—step out, look around, and you’ll see a steamboat restaurant near you! Question: is it halal though? Don’t fret. We’re here to bring you a comprehensive guide to the best halal steamboat restaurants in Singapore. Be warned: You’ll get hungry as you read this post. Feeling hungry but it’s already past midnight? Head to Cafeela Seafood Restaurant in Sengkang as they’re open 24 hours! Go gaga over the restaurant’s steamboat selections as well as their Chinese and Indian dishes. Cafeela is located on 254 Jalan Kayu, and is open 24 hours (perfect for midnight hotpot cravings!). Hit them up at 6483 5477. Kampong Chai Chee turns 30 years old in 2018. That’s a pretty impressive milestone! When you’ve been in the restaurant industry for that long, you must really be doing something right. Steamboat lovers, you’re in luck as the steamboat is an all-time favourite, and even has a tom yam variant. For other hot soupy meals, the restaurant also offers fishball soup, mixed vegetable soup, tom yam soup, and shark fin’s crab meat. Now feel free to explore the rest of the menu. 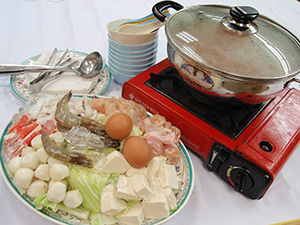 Steamboat is only one of the halal restaurant’s well-loved offerings, which include Malay, Chinese, and Western dishes. 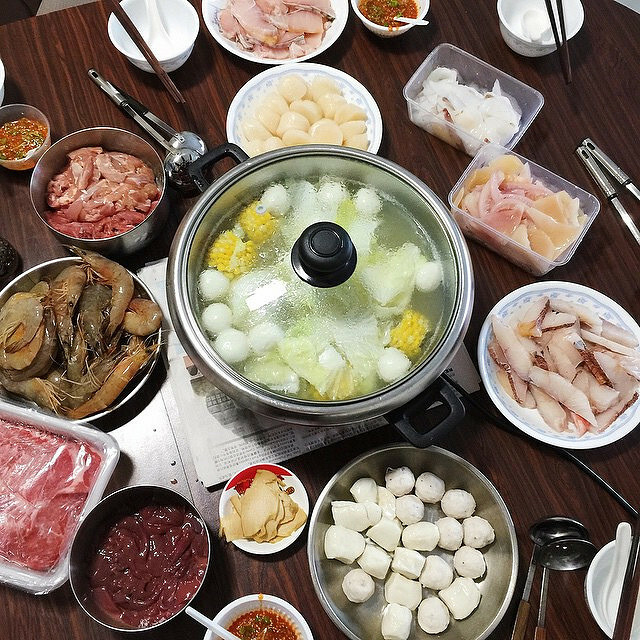 For this steamboat item, let’s look to that of a neighbouring country’s offering: The Thai “mookata” combines the steamboat with barbeque, and this hot pot meal is available in Lukhon Thai, a hawker stall located in the Pasir Ris Central Hawker Centre. 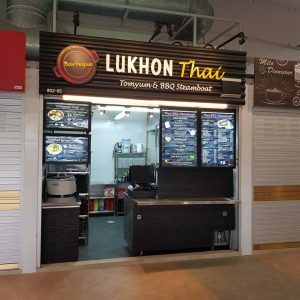 Try Lukhon Thai’s tom yam soup base, which patrons describe as “powerful.” Then, choose from among their topnotch selections of meat, veggies, seafood, and noodles to come up with your special dish. They recently introduced cheese dip—a mix of nachos and mozzarella cheese—at only $3.80 (refill at $3) to bring the flavour to another level. Minimum order is at $25, but you may also opt for platter combos at $25/set for 2 pax and $40/set for 4 pax. Lukhon Thai is open from 11:30 A.M. to 9:30 P.M. from Tuesday to Sunday. Call 9675 5849 for enquiries. 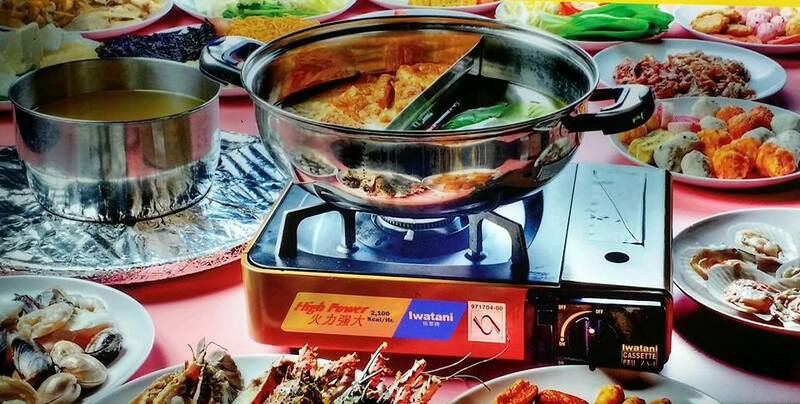 Here’s another halal steamboat buffet that’s surprisingly easy on the pocket. Marina Bay BBQ Steamboat Buffet at Satay by the Bay is one of the few halal options in Marina Bay, and is a great place to unwind after being enthralled by the sights around the area. They have a huge assortment of food items, including quality seafood like crayfish, crabs, scallops, prawns, bamboo clams, and many more. Diners also enjoy free-flowing beverages and complimentary ice cream to complete their meal. What’s more, children below seven years old eat for free as long as each child is with one paying adult. This al fresco stall is open every day. Adults spend $25 to $32, and $14 for kids from seven to 12. Note that they only accept cash. It’s only open from 5 P.M. to midnight. Cravings? Achieved! This steamboat stop takes you to the heart of Mongolia. Yup, while Kublai Khan is more popular for their barbeque, they have opened a steamboat buffet that’s just as good! Check out this blog that drummed up a lot of excitement for the Mongolian steamboat. This halal steamboat restaurant is located on 175 Bencoolen Street (opposite Sim Lim Square). Adults pay $23.50 nett while kiddie rates are at $12.80. Call 6836 2389 for reservations. Korean halal steamboat? Get it at Seoul Garden! The Korean version of a hot pot has kimchi and miso types, with other exciting ingredients like marinated beef, dubu jjigae, mandu, seafood, assorted mushrooms, and sliced chicken. With numerous locations and a buffet setup, Seoul Garden HotPot is an ideal place to indulge in great food with your friends. Look for Seoul Garden HotPot at Bedok Mall, City Square Mall, Harbourfront Centre, IMM Building, Jurong Point, and North Point. Senior citizens and students get 10% off the main dishes in the Bedok Mall branch on weekdays. All they have to do is present their IDs. Not only is this restaurant halal, it is also vegetarian. Customers are treated to a variety of organic vegetables, mushrooms, veggie seafood, veggie meat, bean curds, and delicious soup such as lemongrass tom yam soup, oriental vegetable soup, miso soup, kimchi, and many more. Talk about variety! Adults pay $24.80 to $28.80 and kids from $16.80 to $19.80. Seniors, however, can eat at $19.90 for lunch. Also, there is no service charge if you pay online. Bring everyone—from your grandma to your youngest kid—and engage in hefty servings and fun conversations. Aside from the steamboat setup, there’s also a buffet offering Japanese, Korean, Thai, and Western cuisine, as well as local favourites, pastries, and desserts. Yummy Veggie International Buffet & Steamboat Restaurant is located at the Kampong Kembangan Community Club (beside the Kembangan MRT Station) and can be reached through 6441 2688 or 6636 1683. 8. Your Very Own Kitchen! Who said you can’t set up your own halal steamboat? Yes, you can do it yourself. Visit the halal food section in Giant stores or shop online, and start whipping up a halal steamboat from the comforts of your home. Check out the recipes here! Want a halal version of Laksa Steamboat Soup? Let’s get the ingredients from Giant! 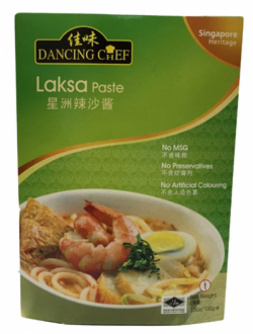 One of the ingredients is halal laksa paste—check! Need some halal fish sauce? Check. 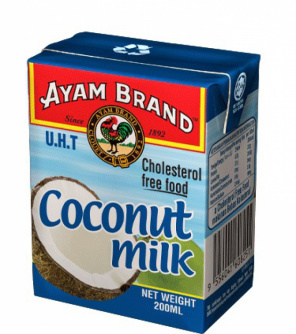 What about halal coconut milk? Check! Indeed, when it comes to halal ingredients, you can easily find them at Giant! You even get rewards and promotions, too! Sign up for the Giant Super Savers Club and get regular freebies, discounts, and rebates while shopping for your halal needs!